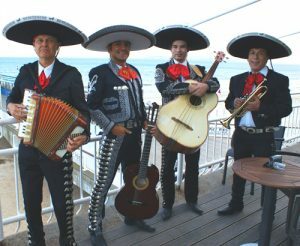 Mariachi el Mexicano bring the passion of Mexican ‘fiesta’ to your special occasion with their vibrant Mexican music and colourful costumes. 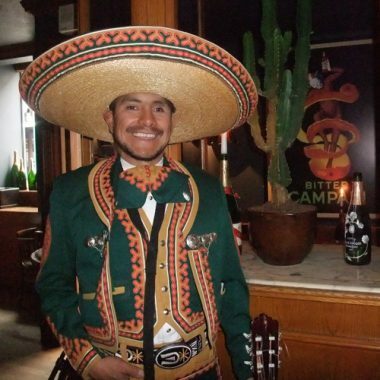 Mariachi El Mexicano bring the authentic sound of Mexican music to the UK. Mariachi music is the unique and vibrant sound of traditional Mexican music, guaranteed, with its exciting blend of live musicians and colourful costumes, to bring the passion of Mexico and the authentic Mexican ‘fiesta’ feel to your special occasion. 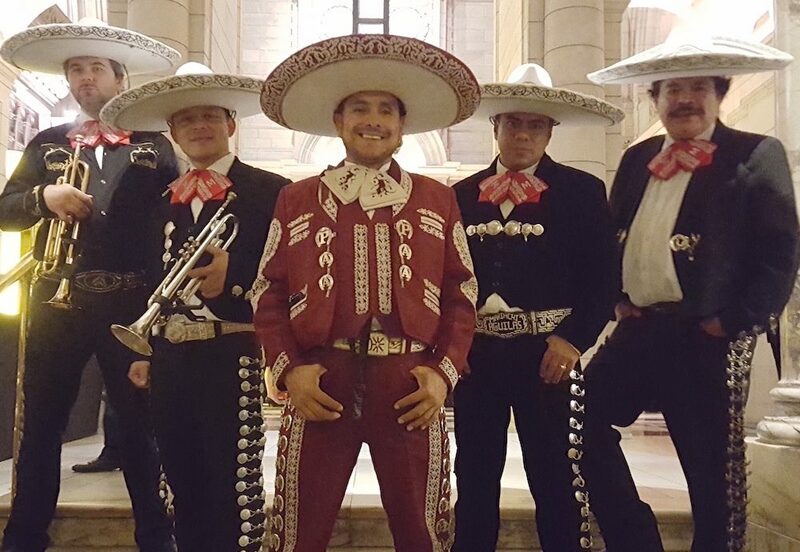 Mariachi El Mexicano are a flexible sized band who can perform either solo or up to an 8 piece band at all your special occasions no matter how large or small. The band are mobile so can move from one part of a venue to another – whatever your occasion requires! They have been invited to play at different cultural events and festivals both in the UK and the rest of Europe. 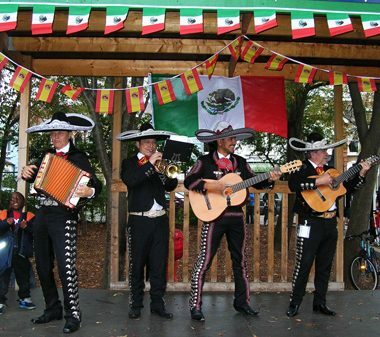 These include the Festival del Pueblo – the largest Latin American festival in Europe; the Latin American Festival of Short Films and the Festival of Latin American Music and Dance in The Mall. In addition they have participated in a wide variety of cultural events in London. They have performed in many prestigious UK venues including Somerset House, the Museum of London, the Royal Festival Hall in the South Bank, Hampton Court Palace and at the Clearwell Castle. They have also performed at the celebration of National Independence at the Mexican Embassy in London and for organisations such as Mexico Lindo and Mexico Juvenil. They have also performed in adverts for Domino’s Mexican Pizza, FlyBe and performed with Madness in Strictly Come Dancing. 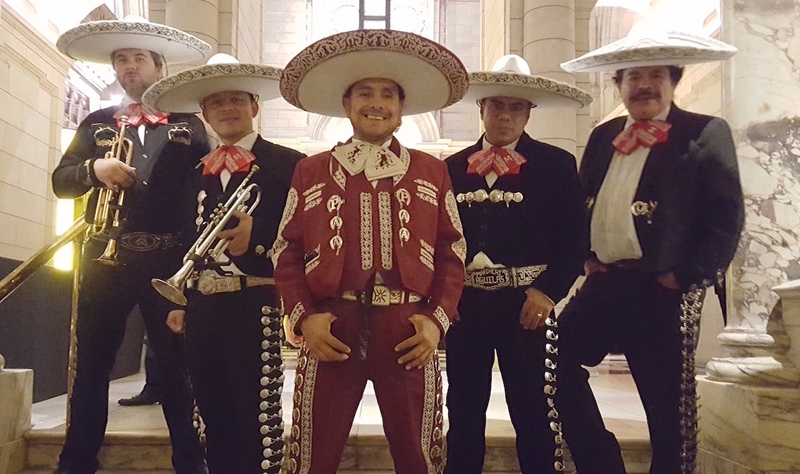 Mariachi El Mexicano recorded the soundtrack of the short film ¨All Piñatas Go To Heaven¨ which won an award for “best film” at The London Film Festival lift-off. 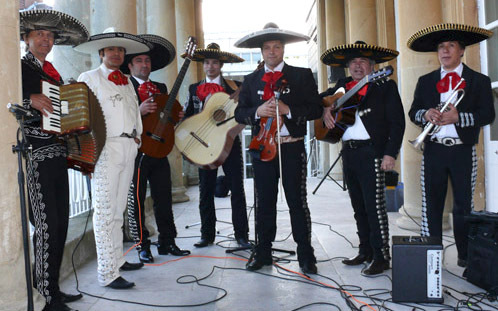 They have also provided entertainment for numerous people at all type of private functions, both on a small and large scale at weddings, serenades, office parties, golf clubs, hen and stag parties, civil partnership ceremonies etc. “Hola! Just to say a massive thank you to you and the band last Friday! You were totally awesome and the bride and groom loved the vibe….. The tunes you chose were awesome and the extra bit at dinner was sublime. The Killers cover you chose is a special song between me and my daughter, we call that ‘our song’……how wonderful you covered that and didn’t know! You can’t go wrong with Beatles either as you probably found out my husband is an avid fan! Well I hope we see you again in the future and I can promise you I will recommend you to everyone I know!